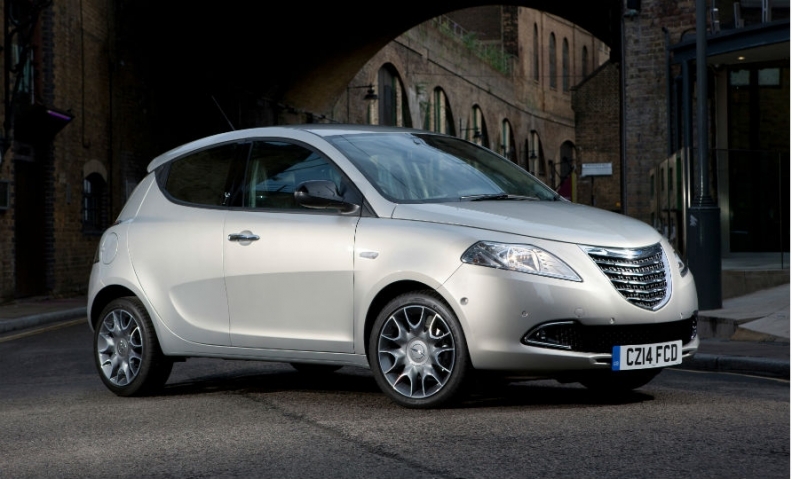 FCA will fulfill UK customer orders for the Chrylser Ypsilon subcompact until 2017. LONDON -- Fiat Chrysler Automobiles is ending sales of Chrysler cars in the UK to focus on its Jeep brand. FCA sells the U.S.-built Chrysler 300C sedan and Voyager large minivan in the UK, alongside the Lancia Delta compact and Ypsilon subcompact cars, which are both rebadged as Chryslers. "We have made a decision to shift our focus away from Chrysler and toward other FCA brands," a Chrysler spokesman said. Chrysler’s UK sales fell 21 percent to 1,982 last year, according to data from the UK’s Society of Motor Manufacturers and Traders. Most of those sales were Ypsilons. UK sales of Chrysler-badged cars will be more than replaced by those of Jeep models, the spokesman said. FCA expects to sell 10,000 Jeeps in the UK this year, including 7,000 units of the new Renegade subcompact SUV, which is built in Italy. Jeep sales in the UK rose by 75 percent to 3,909 units in 2014. The UK and Ireland were the only European markets where Lancias were rebadged Chryslers after the two brands merged in the region in 2010. Chrysler sales will also stop in Ireland. Fiat stopped selling Lancias in the UK in 1994 after demand slumped because of criticism that the cars were rust-prone. Last year FCA CEO Sergio Marchionne said the Lancia brand will be discontinued in all European countries except Italy, where the Ypsilon is still popular. FCA said it will fulfill specific UK customer orders for the Ypsilon until 2017. Last year, Lancia sold 61,483 Ypsilons in Europe, according to figures from market analysts JATO Dynamics. The majority of the sales were in Italy.